Its sister publication Singapore Business Review also nabbed the gold award for the business/professional media of the year in the Media Publishers Association (MPAS) Awards. Insurance Asia clinched the Silver award for the Special Interest Media of the Year at the inaugural Asia Pacific Publishing Awards (APPA). The APPA hailed the best practices and top talents within the Asia-Pacific magazine publishing industry for 2018. “We are very pleased to have been recognised by our industry peers as the leading business publication for Asia’s dynamic financial services industry,” said Timothy Charlton, publisher and editor-in-chief of Insurance Asia. The awards were judged by a panel of six who are practitioners and veterans from the creative sector, public relations and media publishing. The panel also includes fresh faces like James Lim, creative director of Hakuhodo, Dean Carroll, publisher of Mumbrella Asia, James Hewes, president and CEO of FIPP and David Tay, former president of Photographic Society. Lynda Williams, managing director of Vim & Vigour, was one of the only two judges retained from last year’s panel, together with Marina Mathews, managing director of Chrysler Communications. Managed by Charlton Media Group, Insurance Asia is the leading industry magazine covering latest developments in the region's thriving insurance landscape. Other publications from the group also reaped recognitions from the awards night. For the Asia Pacific Publishing Awards, Asian Banking & Finance clinched the Gold award for the Business/Professional Media of the Year. 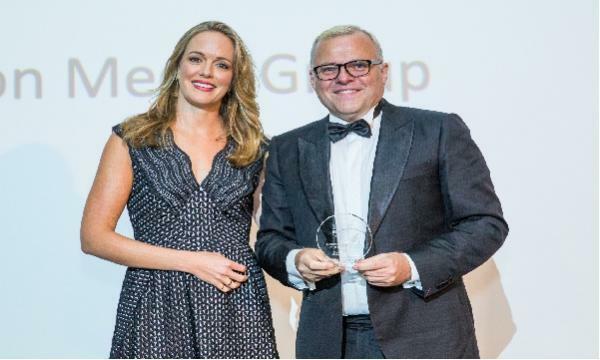 For the Media Publishers Association (MPAS) Awards, Singapore Business Review clinched the gold award for the Business/Professional Media of the Year (Print) whilst Asian Power received the Gold award for Trade Media of the Year. The APPA Awards and MPAS Awards 2018 was held in One Farrer Hotel Grand Ballroom on 8 November. Over 35 publishing firms and 180 stakeholders graced the ceremony.